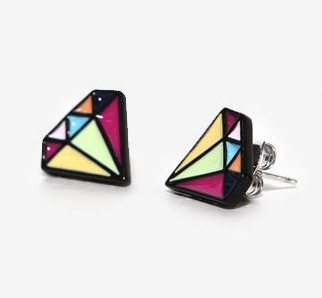 Multicolor Diamond Shaped Earrings Only $2.73 PLUS FREE Shipping! You are here: Home / Great Deals / Amazon Deals / Multicolor Diamond Shaped Earrings Only $2.73 PLUS FREE Shipping! These cute earrings will be a hit with any teen or tween you know. They are fun for summer and fun to wear. Get your own Multicolor Diamond Shaped Earrings for Only $2.73 PLUS FREE Shipping!